We’ve simplified this classic German dessert so that you can easily enjoy a delicious dessert prepared on your grill! Traditionally the German Black Forest cherry-torte includes kirschwasser, a spirit made from cherries. We’re putting a twist on that by adding brandied cherries. That is, dried cherries that have been rehydrated in brandy. This lends a little of the booziness while letting you enjoy the cherry flavor. This is how simple this recipe is. 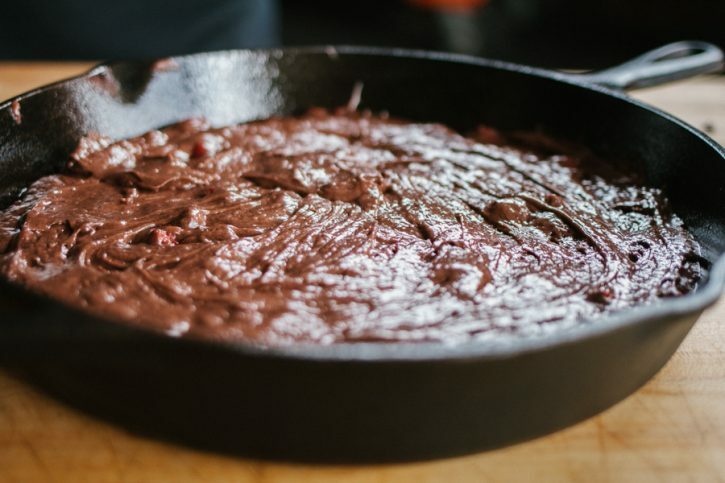 Box cake mix. Leave out the water. Replace with cherry pie filling. 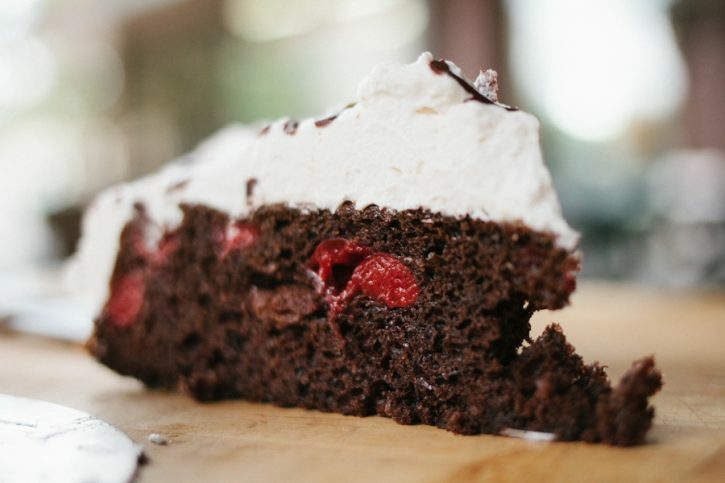 You’ll get more moisture and more flavor in the cake. Win. Win. After the cake is baked it needs to be cooled completely, so we don’t melt the whipped cream. Add an easy chocolate sauce, slightly cooled to prevent melting and refrigerate before serving. That’s it! 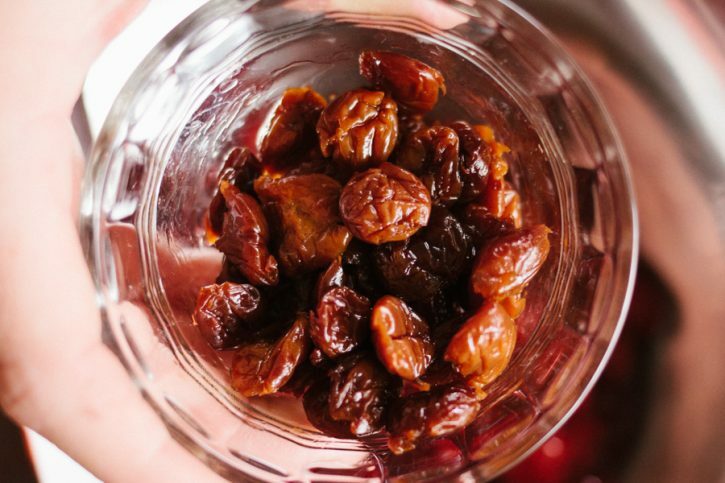 Combine the dried cherries and brandy in mason jar or glass. Let soak overnight. Drain and reserve the cherry infused brandy. Preheat your Yoder Smokers YS640 pellet grill to 350ºF. Combine cake mix with cherry pie filling, melted butter, eggs and brandied cherries. Whisk together until no dry spots remain. 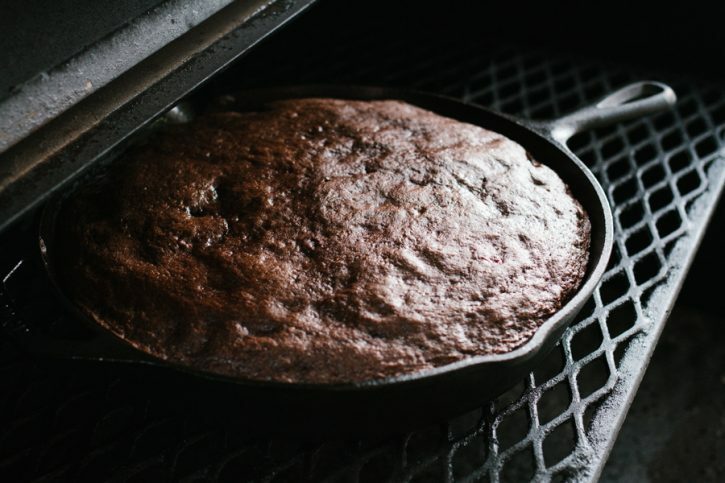 Pour into a greased Lodge Logic 12” cast iron skillet. Spread evenly. Transfer to the cooker and bake until a toothpick inserted into the middle comes out clean, about 30-35 minutes. 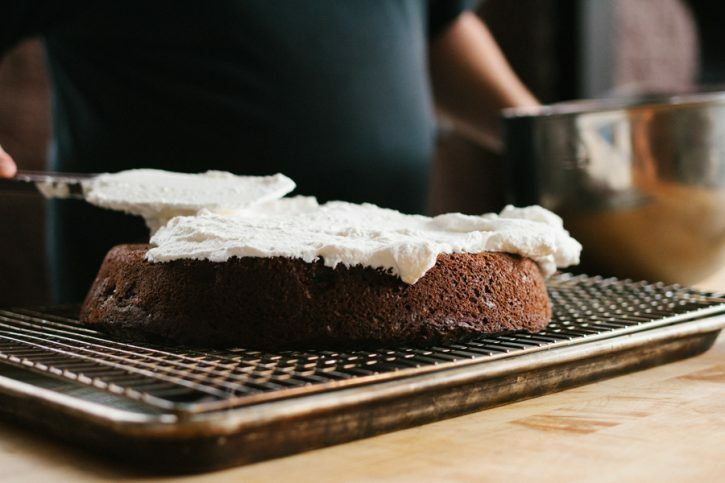 Let cake cool to room temperature. Melt the chocolate chips and 2 tbsp butter in the microwave, stirring every 30-60 seconds until smooth. 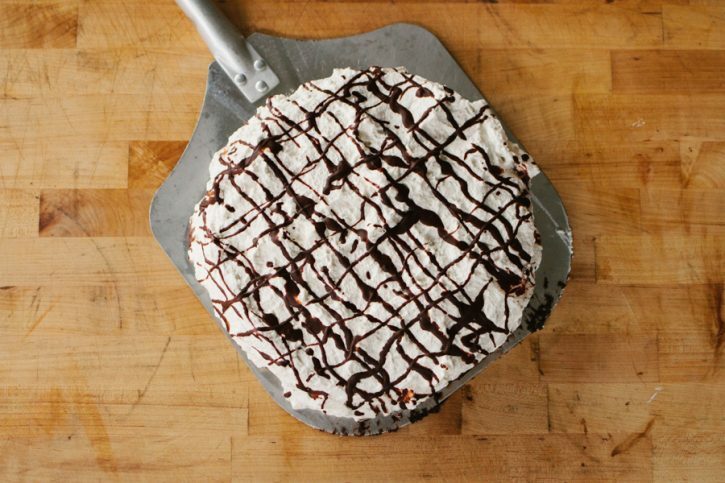 Drizzle the chocolate over the cake. Refrigerate until ready to serve.